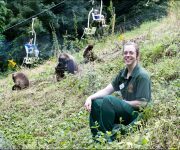 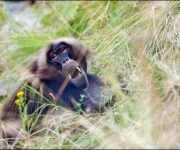 Gelada baboons live in a complex society based on family groups of up to 14 females and their young and up to four adult males. 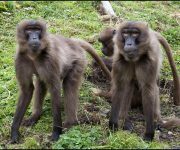 Families, along with all-male bands of up to 15 baboons, often congregate in huge groups of around 500 animals. 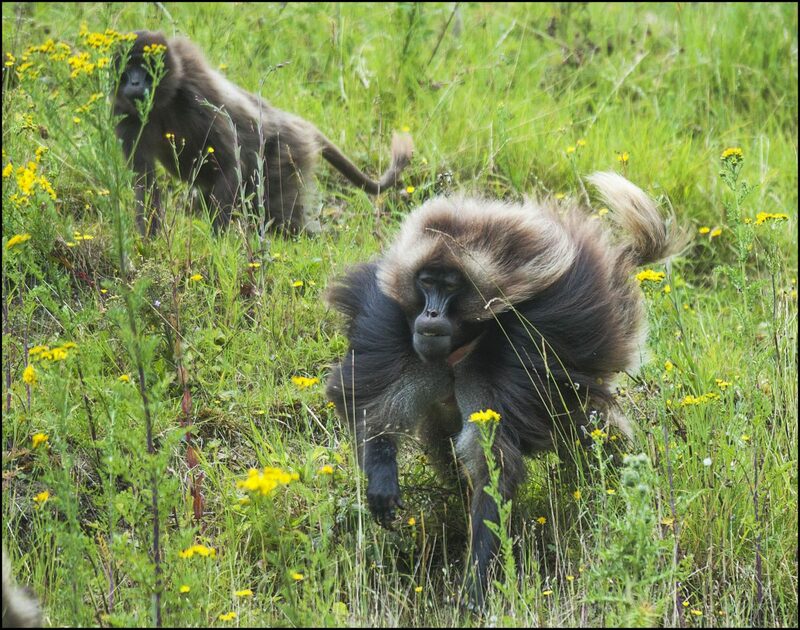 They live at high altitude in the mountains of Ethiopia, sleeping at night on ledges on the steep cliff faces. 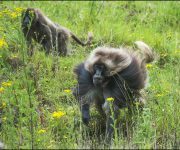 They are protected from the extreme cold of their mountain habitat by the characteristic cape of thick fur. 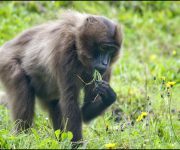 Gelada baboons are the only primate species whose primary food source is grass, and are known as shuffle-feeders who rarely stand when grazing, preferring to continuously pluck grass blades while shuffling from place to place on their bottoms, and short, powerful fingers help them dig for juicy, nutritious roots. 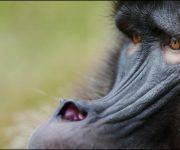 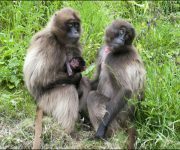 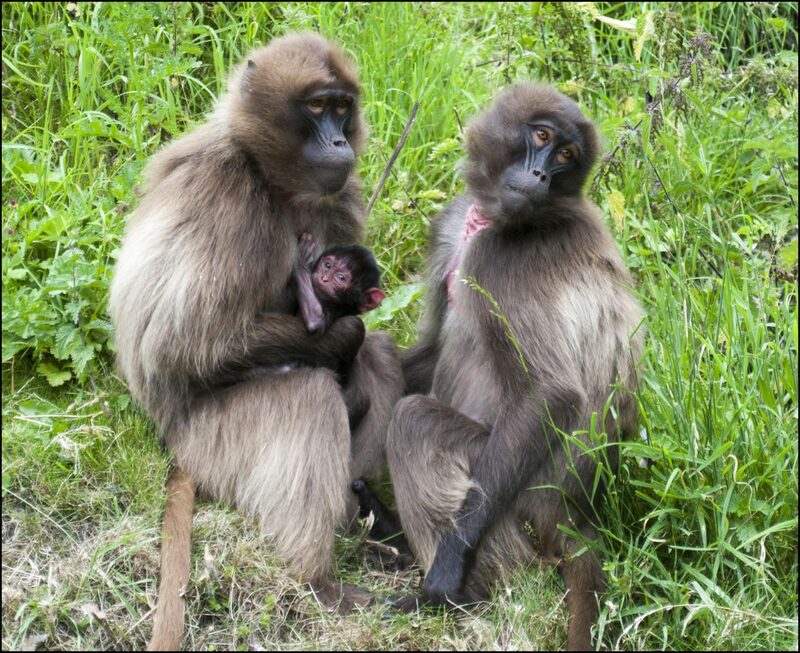 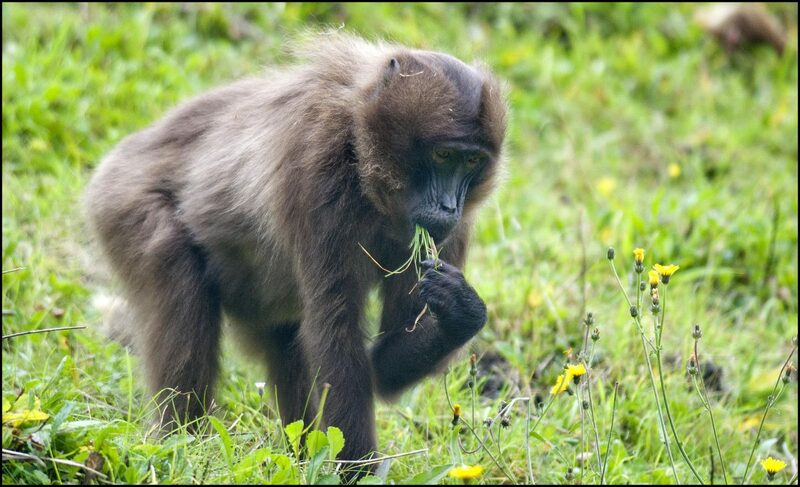 Unlike other baboon females, whose bottoms swell to indicate to males they are ready to mate, Gelada females have distinctive, pink hourglass-shaped skin patches on the chest that visibly change in appearance when they are receptive. 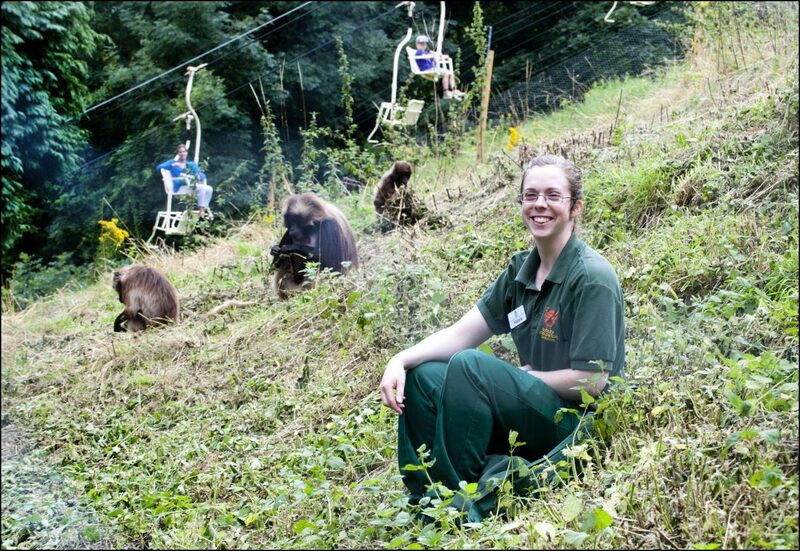 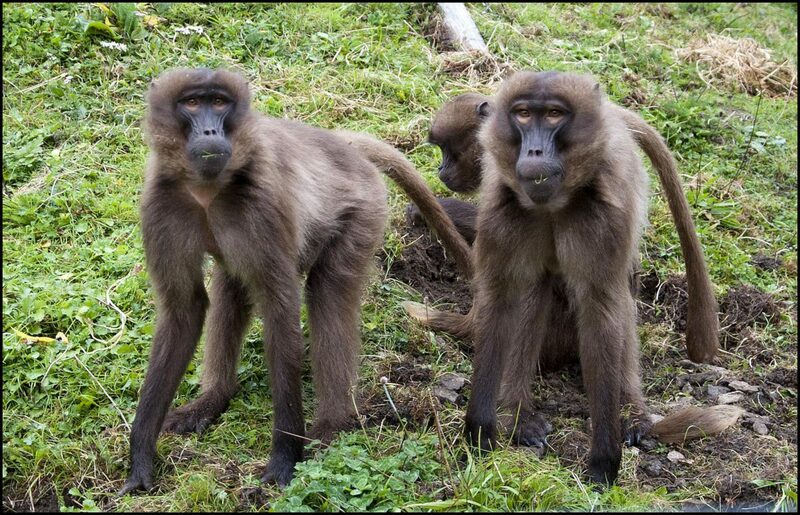 This allows males to tell if the females are ready to be mated, even when they are sitting down grazing! Gestation is usually around six months and single infants are most common, although twins have been recorded. 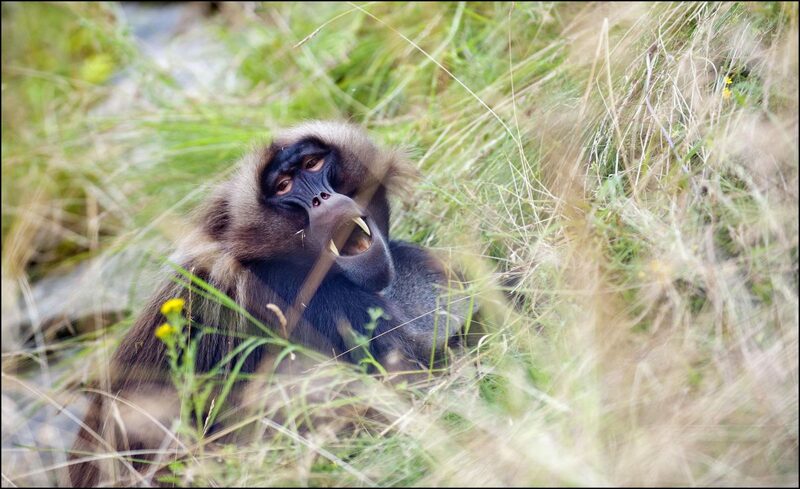 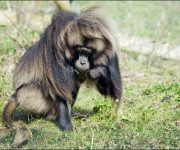 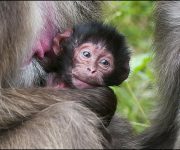 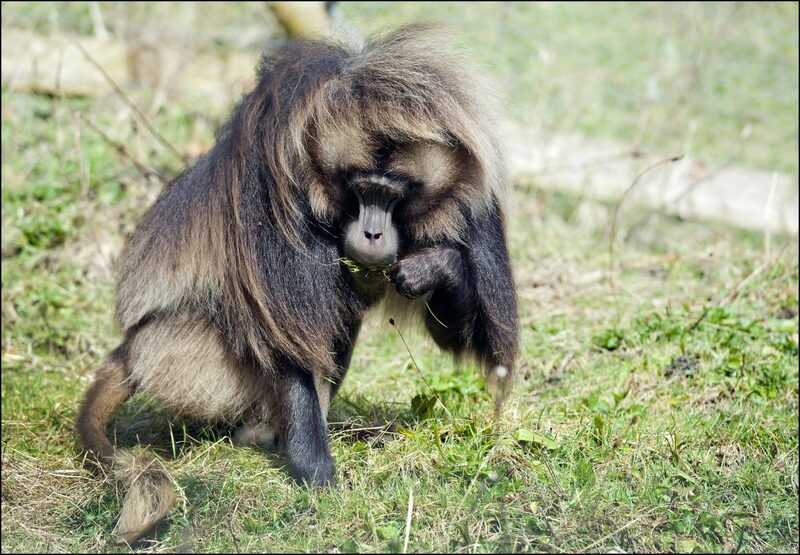 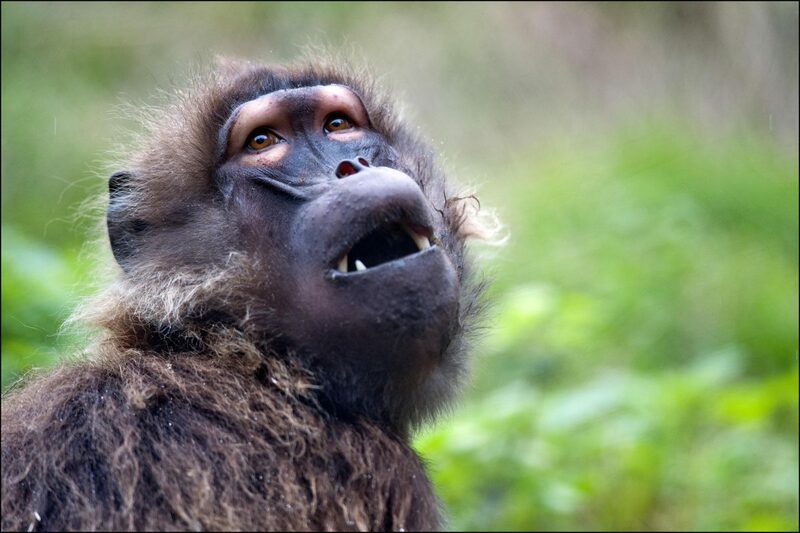 Geladas use a complex mix of facial expressions and vocalisations to communicate with others in the group. 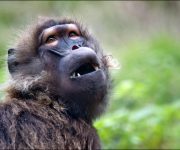 You may see them mouth chattering as a greeting or flashing their pale eye-lids as a sign of annoyance.